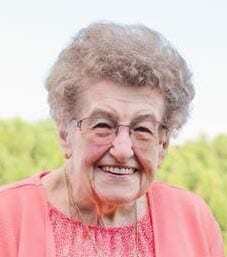 Neva Jean Bates Whitener: Obituary | Clay Co N.C.
Neva Jean Bates Whitener, 81, of Murphy passed away Tuesday, February 5, 2019 in a Murphy care facility. Neva Jean was a native and lifelong resident of Cherokee County. She worked at Clifton Precision until retirement. Neva Jean was a member of the Order of the Eastern Star Chapter No. 10 and the Grape Creek Homemakers Club for more than 70 years. She was a member of the Ogreeta Baptist Church for 46 years, where she served as church clerk and taught Sunday School for more than 40 years. Neva Jean was currently a member of the Boiling Springs Baptist Church. She loved her family heritage and exploring geneology. She was the daughter of the late Mattie LouBell Graves Bates Baker and the step-daughter of the late Rufus Wesley Baker and the wife of the late Robert Elee Whitener, who died May 14, 1999. She was also preceded in death by two daughters, Nancy Ann Whitener Golden and Neva Sue Whitener Ellison; and a son, Robert William “Bobby” Whitener. Surviving are a grandson, Cody Shea Golden and wife, Shelby of Murphy; five granddaughters, Kayala Renee Golden Messer and husband, Cody, Porschia Dawn Mathis and husband, Bobby, Lexus Mackenzie Ellison Stewart and husband, Willie, Madison Cheyenne Ellison, and Lillian Grace Whitener, all of Murphy; seven great grandchildren, Charlie, Hailey, and Hope Mathis, Harper, Paige, and Talen Messer, and James Golden; and two sons-in-law, Ned Golden and Mike Ellison. Funeral services will be held 2:00 p.m. Sunday, February 10, 2019 in the Chapel of Ivie Funeral Home, Murphy with the Revs. Eddis Dockery and Warren Golden officiating. The interment will be in Grape Creek Baptist Church Cemetery. Pallbearers will be Cody Golden, Cody Messer, Bobby Mathis, Willie Stewart, Matt Helms, and Derik Messer. Honorary pallbearers will be Ned Golden, Mike Ellison, and Garland Graves Jr. The family will receive friends from 6-8 Saturday evening at the Ivie Funeral Home, Murphy. In lieu of flowers, the family requests memorials be made in memory of Neva Jean Bates Whitener to the Grape Creek Homemakers Club, 5506 Joe Brown Highway, Murphy, NC 28906.